Sure, our creative trade show games help you achieve your main trade show goals. Yet they provide so many other advantages that it’s hard to keep track of them all. You have some attendees come back to visit your booth again, even multiple times. You have visitors stay longer in your booth playing our creative trade show games. Your booth visitors tell other show attendees how much fun they had in your booth. Your brand is more visible and perceived as more modern. You exceed your usual trade show goals. Your competitors are jealous of all the traffic in your booth. Your company management doesn’t complain about why you had an empty booth. Your trade show Return of Investment improves. You get a deserved reputation as a rainmaker within your company. You get attendees that feel they already know your company still want to visit your booth. Your booth visitors are happy and alert. Your booth staffers make better friends with your booth visitors. You poach a star employee from a competitor that wants to work for the fun company. You capture more lead data for better follow up and measurement of results. You display cool content on your tablet computers and flat screen TV monitors. Your booth staffers don’t have to twist arms to get attendees to enter your booth. Your booth visitors are more willing to talk to your staffers. You feel like the show hours flew by. Your staffers are more willing to staff again at future trade shows. Your field sales people have an easier time getting leads to remember they visited your booth. You have a proven activity for attracting booth visitors that you can use again at future shows. 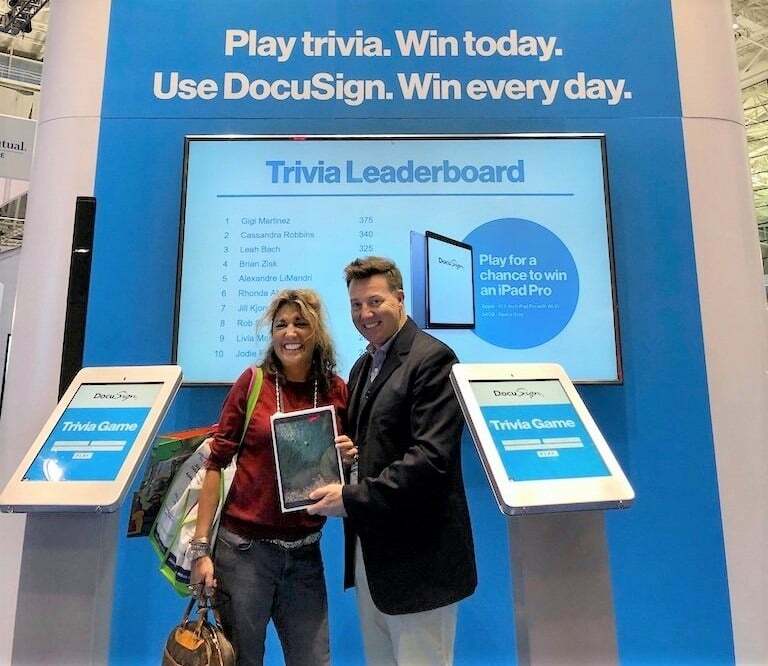 Our creative trade show games provide many advantages for you, from achieving your trade show goals, boosting results, helping booth staffers, assuring company management, and making everybody happier. Well, except your competitors who stand around envious of all the traffic in your booth! If you’d like to see more about how you can drive more booth traffic and get more qualified leads with our creative trade show games, feel free to contact us with questions or to discuss your event with one of SocialPoint’s Digital Strategists. We’ll help you generate excitement, crowds, and leads.